An insipid Liverpool performance ended in a draw after a huge defensive error from Kolo Toure allowed Everton reject Anichebe to bag the leveller. While Toure's intervention affected the capture of the points in this match, the reds were abject across the park. Liverpool's goal arriving against the run of play, and by the end of the game, Gerrard's retreat backwards left enormous holes in the middle of the pitch - which relegation battling West Brom were allowed to dominate. After the midweek exploits against Everton, the reds had a great opportunity to not just cement their hold on the top four, but begin to turn the pressure on Chelsea and Arsenal. By the end of the game however, Everton were licking their lips as the only weekend winners at near the top of the table. After Ian Ayre and Fenway Sports Group's continued inability to understand the concept of a transfer window, it was no surprise that Brendan Rodgers let the side pick itself. The team that rightly beat Everton 4-0 all kept their places. Not that there would have been many options for a reshuffle in any case. West Brom looked the keenest in a rather dismal first half. Suarez and Sturridge were frequent visitors to the Liverpool half - in search of the football. Mignolet's poor kicking and distribution helped West Brom pick up lots of balls in midfield, and they overran the reds at times. Slap bang in the middle of the half, Liverpool took an unlikely lead. 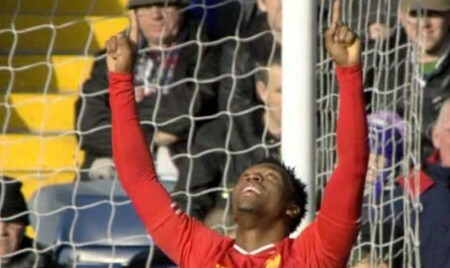 Suarez with a fine ball finding his strike partner Sturridge who timed his run well to help the ball over the line. Second half and for a brief spell after the break the game sparked into life. West Brom applying pressure via free kicks and corners in search of an equaliser - also having the effect of giving Liverpool some freedom on the counter. As the game wore on, Liverpool got deeper and deeper. 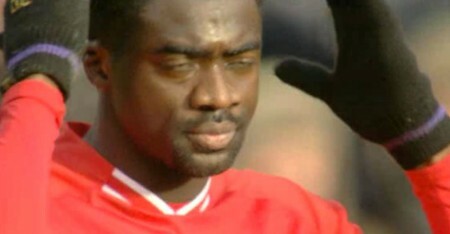 After most of the game spent launching it up, Kolo Toure decided it was time to play it out of the back. End result was him giving the ball to substitute Anichebe to fire past Mignolet. Liverpool never looked like adding another goal to the tally, even with the bonus of 4 injury time minutes, and West Brom seemed fairly happy to settle on the point. Whilst the reds look generally happy at home, away form is now a significant problem - Liverpool have won just two league games away from Anfield in the last 9 attempts. The reds remain 4th but the gap to 5th placed Everton has closed back down to 2 points. Next up title chasing Arsenal.